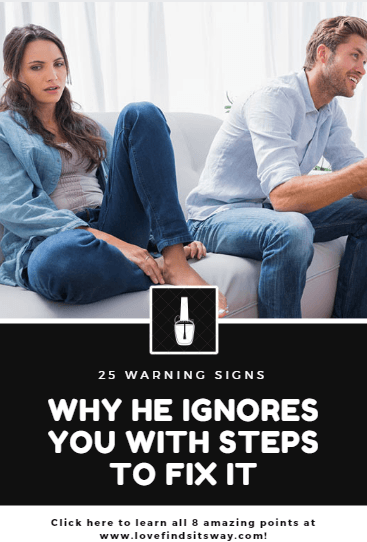 If you’ve lost that lovin’ feelin’, and somewhere in your mind you feel that your man is ignoring you then this article is for you. I understand at this point for you It may sound like a far off dream to feel intimately connected to your man. It’s no wonder that romance is at peak in the first half of any intimate relationship. And it gets pushed down to the bottom of the list in the second half if you fail to spice things up and believe me you're not alone. There are many women around the GLOBE who're facing this issue of commitment and they complain "that he's ignoring me". 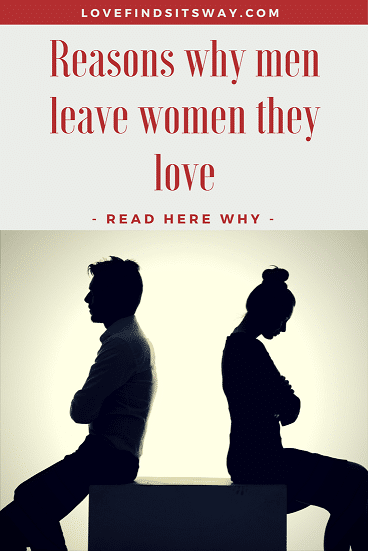 If you've read my articles in past, you’ll hear me say this a lot, but many women are operating under a hideous burden of shame, embarrassment, humiliation, and self-blame for the lack of love and passion in their relationships. Many women are such selfless givers that they routinely overlook their own needs and desires for YEARS which allows their man to them for granted and eventually leave a perfect women. In fact, just so you really can internalize the fact that you are NOT alone in this journey. to your current or previous relationships with men? 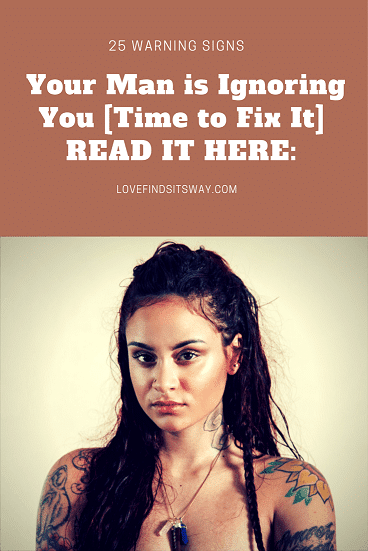 Read Here: 19 Questions Why Men Lose Interest – And How to Fix It. If there is even the FAINTEST pang of recognition for you there. Then I need you to know something VITALLY important. And listen, as far as ‘feeling invisible’ to a man, feeling him pull away, and starving for more love goes. Every woman has been there. And … it’s really, truly not your fault. I need you to internalize this, right now, because most women are walking around under a HUGE psychological load of feeling not good enough, ‘less than’, or somehow unattractive to a man. It’s a load you don’t need to carry. It’s a load that makes you feel unattractive. It’s a load that makes you act unattractive. So take a deep breath, exhale from the bottom of your lungs, and feel that load sliding It’s not your fault. If you’ve been feeling distant, disconnected, or like he’s losing interest in you and INFORMATION. To prove my point, here’s an example for you. I gave you a recipe for steak, and told you to make bread. You follow the recipe exactly, and you get Steak. Hmm. What a surprise. You really, REALLY want that loaf of fresh, delicious, warm bread though, so you keep TRYING. But each time, you end up with STEAK! Aaaargh! So … does that make it your fault that you’re not getting the result you set out to get? No. It’s just that you don’t have the right recipe. If all you have is a recipe for steak, then that’s what you’re going to get, no matter HOW many times you keep trying. My role here is to give you the recipe you NEED, to get the results you WANT. hundreds and hundreds of other women just like you. So, if you’re at the end of your tether. It’s really, truly not your fault. You just haven’t had the right recipe. Now you’ve got the right one. Remember it’s true you love your man and that’s the reason I want to share with you something special. If you really want to discover a whole new universe of passion and connection beyond anything you’ve ever imagined. You’ll learn the 5 brutal mistakes women make that make men repulsed and leave... and you’ll learn a secret set of words that will send his pulse RACING with love and devotion for you (and only you). I will stop here I urge you to Watch this amazing video here by my friend Amy North a very successful Dating and Relationship expert. I am sure you found this post useful . So I request you to share it with other women around you. Remember sharing is caring. Have a great day and keep coming back.